As if I need an excuse to have a party...with Cinco de Mayo this coming Thursday and The Kentucky Derby on Saturday afternoon...I thought why not begin celebrating Monday night...with this fun and festive Mexican dish! There are so many ways to do this, but here I placed my six poblano peppers in a cast iron skillet and placed it in a 400 degree oven for about 20 minutes. Next, I placed the charred peppers in a brown paper bag and sealed it up for 10 minutes. 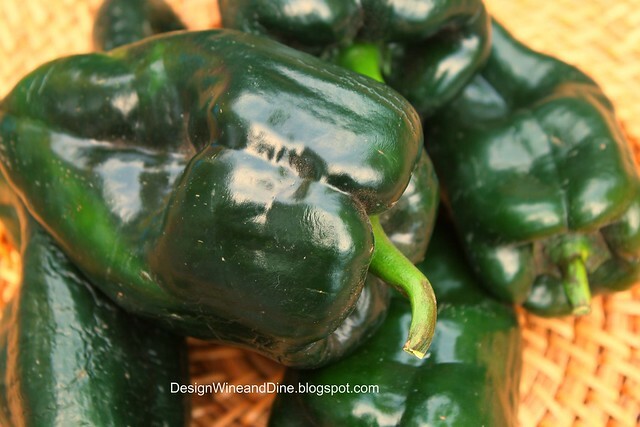 Last, I easily peeled the charred skin off the outside of the poblanos and seeded the peppers. 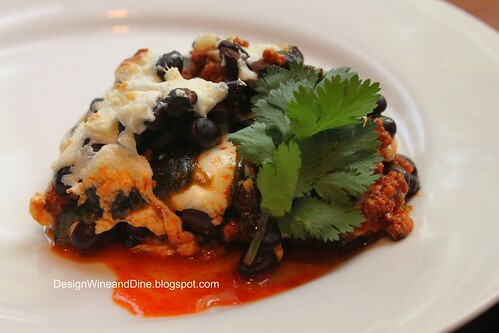 Layered with Mexican chorizo and black beans...be sure to cook and drain the chorizo prior to baking the casserole! then baked in a glass casserole dish at 375 for 12 to 15 minutes...be sure to top it with more cheese! Good call on the festive dish! Looks great! I for one can never get enough of mexican food and this is perfect timing! I just posted a Mexican dish also! Great minds think alike, my friend. This casserole looks so great. Very fresh also! Wow looks very good...love the mexican way..thanks for sharing. And to think I already DO have queso in my fridge! Party time! 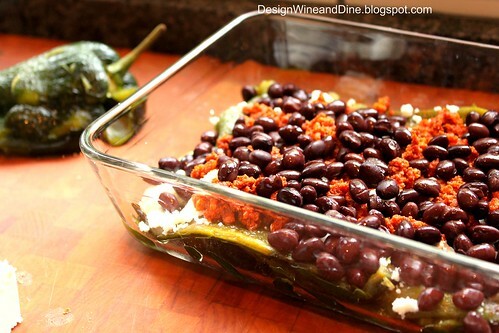 This looks like a fiesta in a casserole dish! oh I'm loving this! what a great idea!!! Love this! And could it get any easier for me? 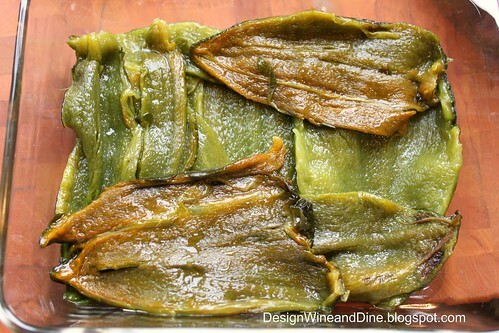 I've got roasted poblanos in the freezer. Now all I need is a hat and I can celebrate in style. 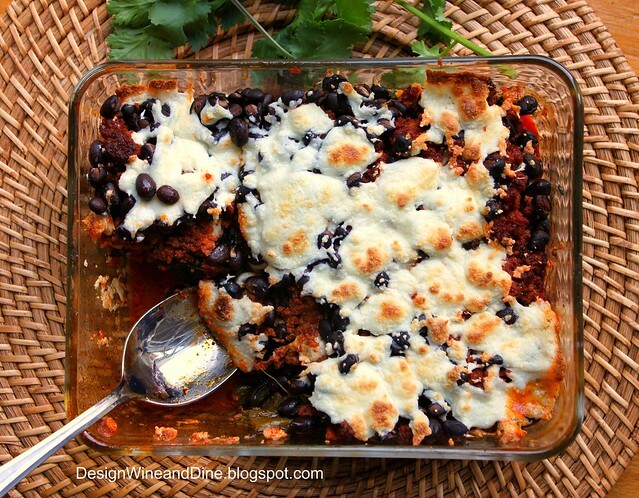 Ok, you just made a casserole with every Mexican ingredient I love the most!! 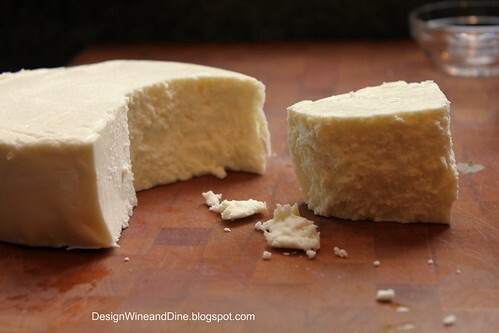 Chorizo is my new love, I use it place of ground beef whenever I can...and queso fresco - one of my top 3 cheeses!! Love this recipe! Mmmmm! After 2 years in Italy, I am about ready for some mexican food!